The neighborhoods of Flamengo and Botafogo were the first regions in the south zone that was occupied residentially. 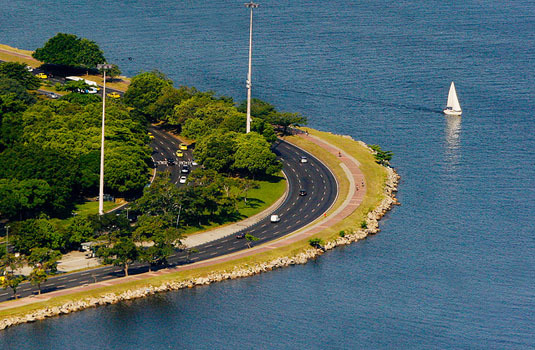 Botafogo is more commercial in nature in comparison to the residential neighborhood of Flamengo. 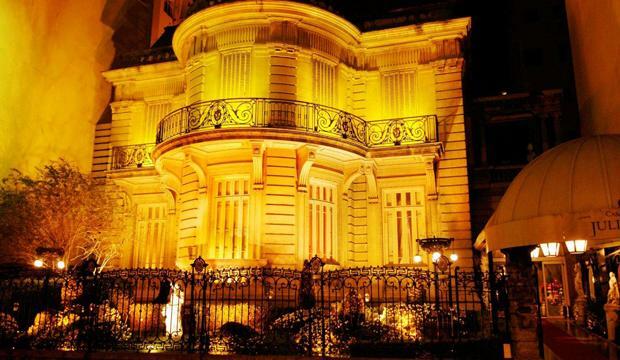 Flamengo is known for its tranquility and large and beautiful colonial homes that blend with apartment buildings. The neighborhood is predominantly middle class that live in a relaxed, family-oriented atmosphere. When it comes to nightlife, Botafogo its immediate neighbor has much more to speak about.Botafogo was named after João Pereira de Souza Botafogo, one of the first residents in the area. Botafogo boasts of many museums, theatres and movie theatres along with a colorful nightlife so you can be sure of the best in entertainment when you visit the area. RioSul is a famous shopping mall located in this area. Football is undoubtedly the biggest sport with best local teams in Brazil coming from these regions. 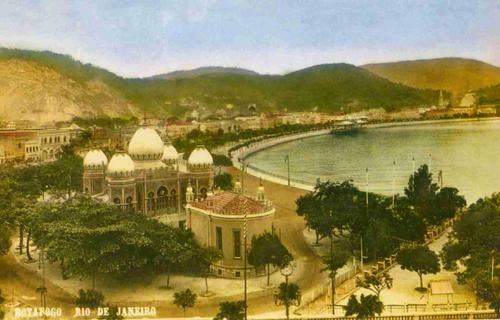 Botafogo gained importance in the 19th century when the Portuguese court was established here. The introduction of the street car and urban reforms of this region in the early and mid twentieth century led to the removal of slums, widening of roads and all round improvement in infrastructure. This obviously led to an increase in population and commercial interest in the area. Pasmado Overlook is the perfect spot to take pictures of the Guanabara Bay. The statue of Christ the Redeemer is also clearly visible from this point. This point can be accessed from Bartolomeu Portela Street. Villa Lobos Museum is named after the legendary Heitor Villa-Lobos who dedicated his life to the study of Brazilian music. The works of this famous composer are preserved in this museum along with photos, personal objects, musical instruments and the piano on which he composed his music. The headquarters of this museum was designed by Burle Marx. Rui Brabosa Museum was built by the Baron of Lagoa in 1850. It was purchased in 1895 by Rui Barbosa who was a celebrated jurist, politician and journalist. The museum is a center of research and documentation and features personal items of Rui Barbosa like period furniture, personal objects and cars used by him. The Museum of the Indian was built in the late 19th century to preserve the culture and traditions of the indigenous tribes of Brazil. On display are all sorts of handicrafts, arts, movies, recordings of original music, library and photos which total around 15000 exhibits. 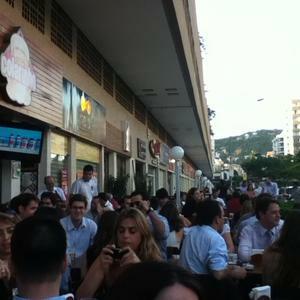 The region of Botafogo is well known for its bars and nightlife. The neighborhood holds great appeal for the alternative public. Voluntários da Pátria Street has several bars, but most of them are concentrated in the Baixo Botafogo area near the beach. You can have loads of fun by the beach then head on over to the bar for a cold beer and delicious appetizers.Bukowski, a bar at Alvaro Ramos Street is perfect for those who like intimate environments, great drinks and narghile. Pista 3 and Casa da Matriz are famous clubs frequented by locals and tourists alike. 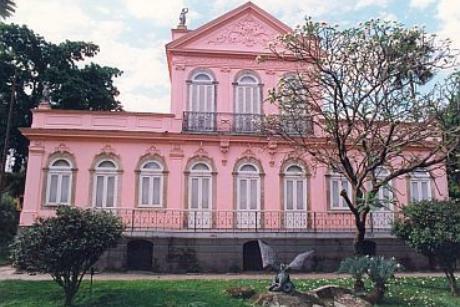 Casa da Matriz is known for its traditional atmosphere and its young alternative audience. It’s definitely a place worth visiting if you are tired of the hectic club scene. Flamengo is one of the most historical areas of Rio. It contains a concentration of landmarks, churches, museums and other cultural institutions. 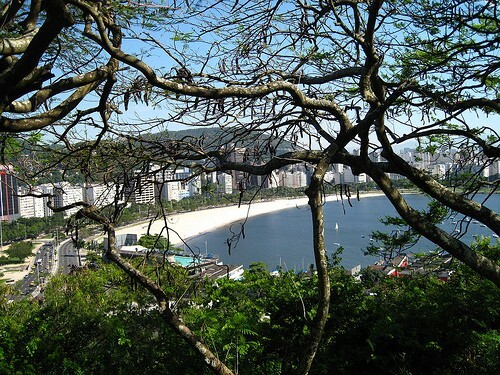 You can get the best views of Guanabara bay. Flamengo Recliam designed by Burle Marx is the pride of the neighborhood. It is said to contain over 300 species of trees and plants and extends over an area of 1 million square meters. Flamengo lies next to Botafago. The Flamengo Park features gardens designed by Burle Max and is a must visit attraction in the region. It is the largest leisure area of Rio de Janeiro. An electric car tour along with a guide is the best way to learn about the history of the place as you pass by various species of flora and fauna in the park. 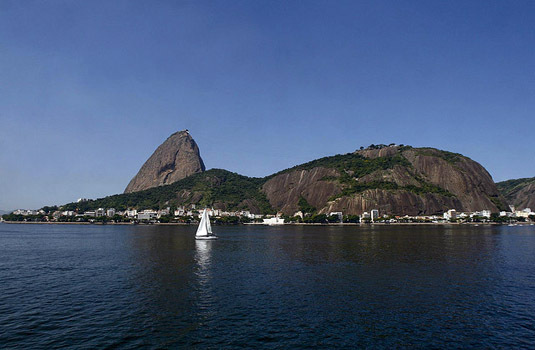 The views of Guanabara Bay and Sugar Loaf are particularly impressive. 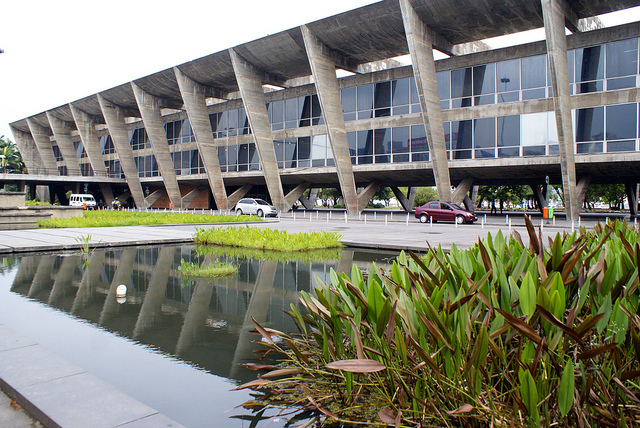 The Museum of Modern Art in Flamengo Park is worth a visit both, for its modernist art and architecture. It houses over 11,000 works including paintings, sculptures and engravings by both Brazilian and foreign artists. The Modern Art Museum is also home to a highly specialized library and a popular cinematheque. The Museum Oi Futuro displays temporary exhibitions which are usually of contemporary art. The neighborhood of Flamengo has several bars that range from simple to elegant. The bulk of the bars are located on Marquês de Abrantes street but there are several others scattered throughout the neighborhood. Devassa, Belmonte, Adega do Juca and Picote are the most famous bars. 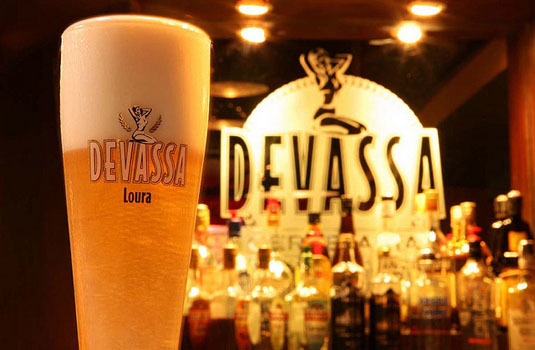 Devassa is reputed to be the largest bar that specializes in a variety of international beers, making it one of the most popular watering holes in the neighborhood. 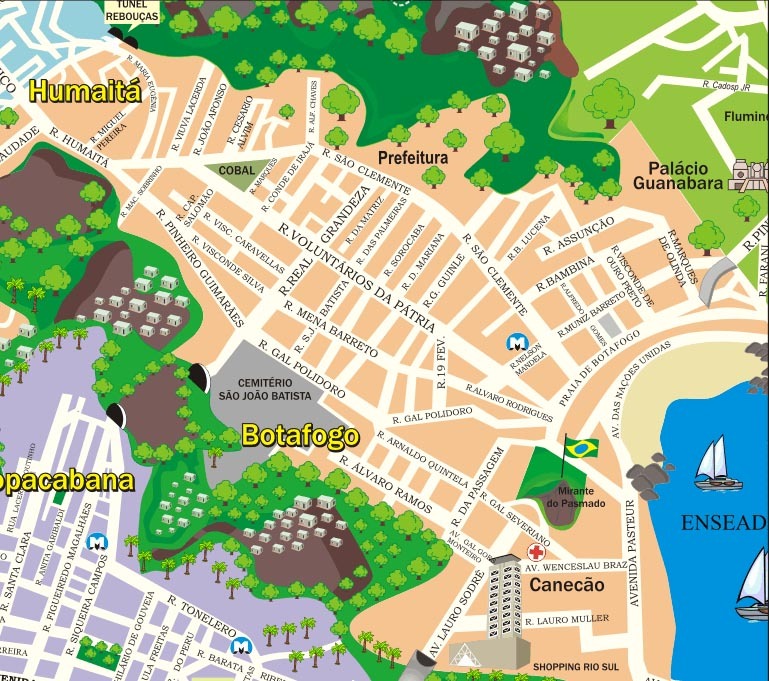 The neighborhood of Botafogo offers various choices of great restaurants that cater to every budget. Adega do Valentim is a popular choice. It is located near the Rio Sul Shopping Center. Try the appetizers which are popular with the locals as well. The menu is Portuguese and the food served in generous portions can easily be shared among 2 or 3 people.Careme Restaurant is another favorite eating spot in Botafogo. The restaurant presents the perfect setting for a romantic meal. It offers a fix priced buffet style menu as well as an a la carte menu as well. The restaurant uses organic ingredients in the preparation of all their dishes. The desserts here are out of this world.Majórica restaurant offers good food and a cozy atmosphere. The restaurant specializes in Peruvian food so be sure to check it out. The Museum of Modern Art houses Laguiole, a restaurant that specializes in contemporary cuisine. For those who want a more romantic setting, Barracuda, a restaurant on the shore of Guanabara Bay is the perfect choice. They offer a variety of seafood dishes that are delicious and favored by the locals. Miam Miam caters to a more youthful crowd with a wide selection of cocktails and contemporary cuisine. So drop by if you want a change of taste.Flamengo also has its share of eateries that serve traditional cuisine. Boteco Belmonte is a firm favorite among the locals and tourists alike. The relaxed atmosphere will help you enjoy your food and drinks. The sandwiches, pizzas, salads and soups are hot favorites.Casa de Arte e Cultura Julieta de Serpa has a reputation for serving the best teas and afternoon snacks apart from the regular meals. So try to stop by during the afternoon to enjoy their delicacies. The venue also plays host to several cultural activities and live music performances so you are sure to have an enjoyable experience. Intihuasi specializes in South American Seafood cuisine. You will be delighted with the range of Peruvian dishes you can choose from. They do have some delicious cocktails on the menu as well. If you are looking for an authentic South American dining experience be sure to drop by.